CarGurus has 1,472 nationwide Z4 listings starting at $2,500. It took years for me to warm up to the Z4. By contrast, I fell in love immediately with its predecessor, the Z3. The fact that it was James Bond's car didn’t hurt, especially when powered by the greatest internal combustion engine ever built—the inline 6. When I first saw my father roll into our driveway with one, all black paint and swooping curves, I thought the golden era of car design had returned. A few years later when he replaced it with a Z4, my hopes were lost. Too many angles, too much flash, and my lanky 6’4” frame wouldn’t even fit properly into the passenger seat. Fast forward 10 years, and the Z4 has matured. The sharp lines have softened, and perhaps my tastes have changed. Ever since the refresh of 2011, the Z4 has solidified its place in the pantheon of long-term design classics. Now that it’s come into its own, what changes are in store for BMW’s answer to the Miata? In traditional Bavarian fashion, not much. Headlights are updated, some new wheels make for more elegant footfalls, and the options list changes a bit. Small adjustments to a perfect package? Not exactly. Pretty as the Z4 is, it’s still not perfect. And much like the car itself, its problems are small but powerful. First there’s the elephant in the room—the issue one should never bring up to an aging lady like the Z4: its weight. For such a small car, the Z4 has never been very slight. Currently, depending on trim and options, the Z4 crests 3,500 pounds. This may sound svelte compared to the typical tonnage of your average auto, but in the sports-car category it’s a heavyweight. That’s almost 700 pounds more than a Boxster and 1,000 more than a Miata. If you think those kinds of figures don’t make a difference, here’s a fun math problem. Generally speaking, every 6 pounds of weight equals 1 hp. You do the calculating. I’ll wait. Of course, it wasn’t always this bad. Before 2009 the Z4 was a ragtop, and canvas weighs a lot less than a real roof. It’s also louder, colder (or hotter, depending on where you park your chariot) and more prone to leaking. We’re long beyond the era where people are willing to compromise anything for something as middling as a convertible top. Except weight. Weight is esoteric. Weight is easy to ignore. Give some more power, bigger brakes and some extra-wide tires. We’ll pretend it’s not there. That extra power came easily. Here it starts with the sDrive28i, sporting a 2.0-liter, turbocharged inline 4-cylinder (I4) that provides everything you’d want except refinement. The engine is peppy, efficient, responsive… and sounds like my grandfather’s tractor. Sure, it sounds like my grandfather’s tractor when he had it running really well, but it’s still not a sound that inspires many to break out a wallet. That's a shame, too. The 2.0’s lighter weight and smaller size make it a wonderful addition to the Z4’s chassis, especially when paired with the 6-speed manual transmission. Injury is only added to the insult, however, when you take into consideration the powerplant it sits next to. The sDrive35i here has all the wonderful numbers: A 3.0-liter, turbocharged inline 6-cylinder. 300 hp. 300 lb-ft of twist. Cue the angelic chorus. Of course, should that not be enough to impress, the sDrive35is offers a 335-hp version of the same engine, but as the 35is can only be had with the 8-speed automatic as opposed to the option of the 6-speed manual in the 35i, the choice is rather obvious for anyone buying the Z4 for the love of motoring rather than any perceived prestige. The manual will even get you a bonus at the pump, picking up 2 mpg over the automatic on both ends, delivering 19 mpg city/26 highway. The only real argument in favor of the 35is, other than the extra horses, is the standard inclusion of the adaptive M suspension. However, since that’s an option for the “lesser” Z4s, much of the air is taken out of that argument before you even turn the key. Besides, you’ll be awash in options and features. It’s a BMW, after all. Vinyl "leatherette" upholstery, Bluetooth, dual-zone automatic climate controls, xenon headlights, heated mirrors and rain-sensing wipers all come standard. 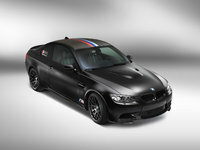 And should you want to dress up a bit, you can add parking assist, keyless entry, navigation and even the M Sport package. That will add sport seats, 18-inch alloys, a thicker M steering wheel and an aggressive body kit to go with that adaptive suspension. Who needs an extra 35 hp? In truth, the Z4 was never about ultimate performance. Nor should it be. A convertible is never the proper platform for pushing the performance envelope, hampered by noodley bodies and a distinct lack of rollover protection. No, something must be given up in a convertible for the benefit of staring straight up into that bright blue sky, for feeling that extra bit of wind, for being able to hear your engine and exhaust just a little bit better. Yes, the Z4 needs to lose a little weight. And it needs a manual option for its fastest iteration. But this can be forgiven. Love means accepting faults. Perhaps it’s time I see if my much older legs can fit again in the Z4. What's your take on the 2014 BMW Z4? A I love this car. In stock form it's nice but put a set of catless down pipes and a COB tuner and the car comes ALIVE! I also replaced the stock 19” wheels with a set of light weight 18" wheels and Bridgestone RE71R tires. These small changes made this car incredibly powerful and agile. I'm excited drive any chance I get. 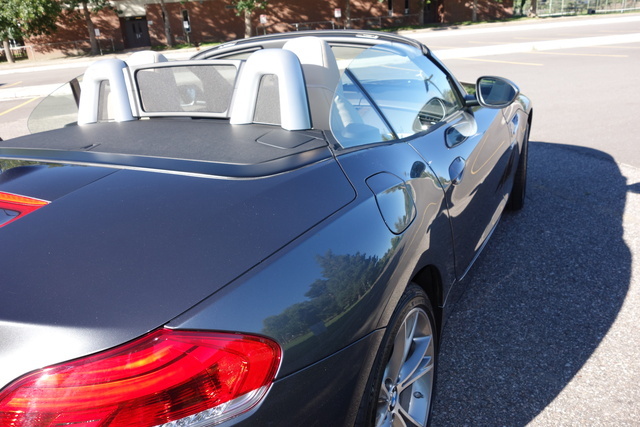 Have you driven a 2014 BMW Z4?